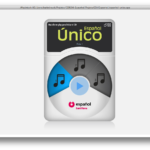 Educational application as a complement to the book Español Único. An initiative of Moderna Publisher, São Paulo – Brazil. Partnership with Elumina Comunicação. The biggest challenge in this project was to developed an automat interface builder system, where corrections and extensions could be easily accomplished. At the end, the interfaces could be built by an XML file data, where information like the kind of exercise, the questions, possible and right answers, was inserted. My role: Python development and interface elements. Developed on Kivy, programmed in Python. Start menu. Developed on Kivy, programmed in Python. Screen show an option list integrated with text, where learners can practice the language. Developed on Kivy, programmed in Python. 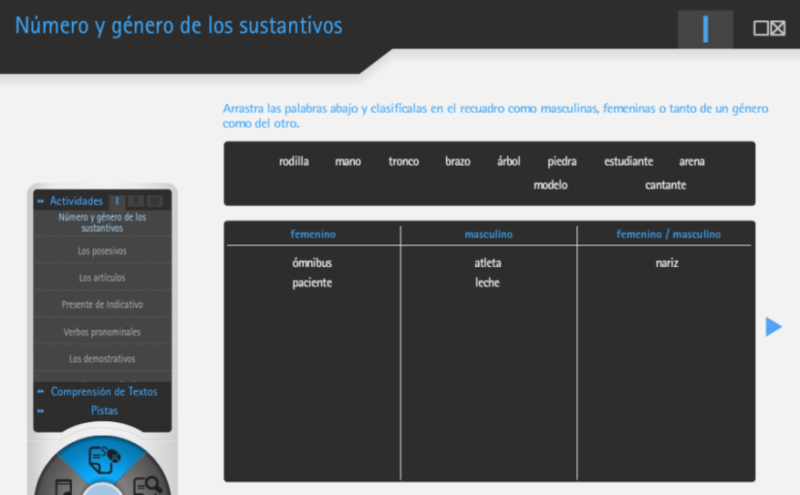 In this screen, students can drag and drop the right options in the sentence´s gap.